Guides, gear, instruction, and lunch are included in price. 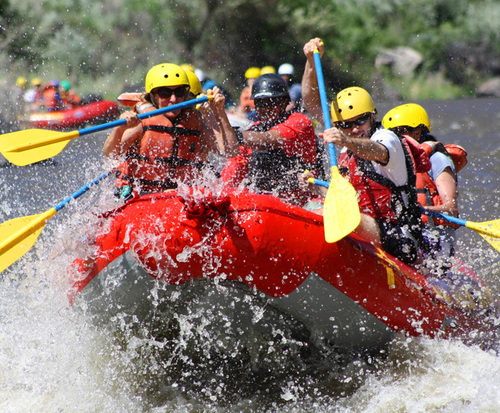 If you are looking for excitement and adventure as well as some amazing scenic views, try Rafting the Razorblades in Santa Fe, New Mexico. These tours give visitors the chance to raft their way down the Rio Grande while enjoying the wildlife and natural beauty of the area. 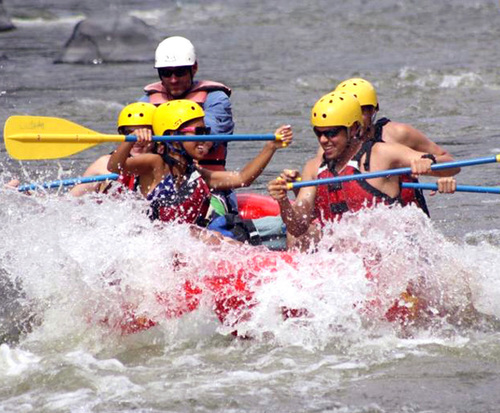 The Razorblades section of the Rio Grande is a class IV section, meaning guests will need prior rafting experience to safely complete the course. The area has limited access making it one of the most pristine sections in the entire canyon. The adventure begins with a hike to the upper gorge where guests will be given a short handling and safety lesson. Once the lesson is over, the rafting begins. From calm waters to amazing white water rapids, guests will be treated to an adventure at every turn. Halfway through the trip, a lovely riverside lunch is served. Guests can enjoy relaxing and taking in the scenic beauty that creates this amazing area. This adventure is only open to those who are 16 years of age and over, and all participants must meet the guides expectations to participate. Tour guides are knowledgeable in the local history, geology, and ecology of the area and can offer stories and brief lessons as well as answer all guests questions. 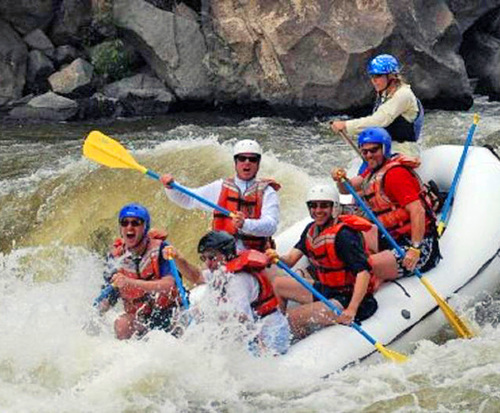 For an adventure unlike any other, head to Santa Fe, New Mexico and try Rafting the Razorblades! Don't miss out on this fun and amazing adventure, book your reservations today and create unforgettable memories!